From breathtaking ocean views and driftwood strewn beaches to old growth forests and historic forts, our state parks invite you to explore. All you need is a Discover Pass. Adventure is never far. Within half an hour you can be walking up to a historic lighthouse or hiking beach to bay on the north end. We promise you can’t see it all in one day. Check out lodging options for your next adventure! The Lewis & Clark Interpretive Center sits 200 feet above the surf. Photo by Sarah Day. 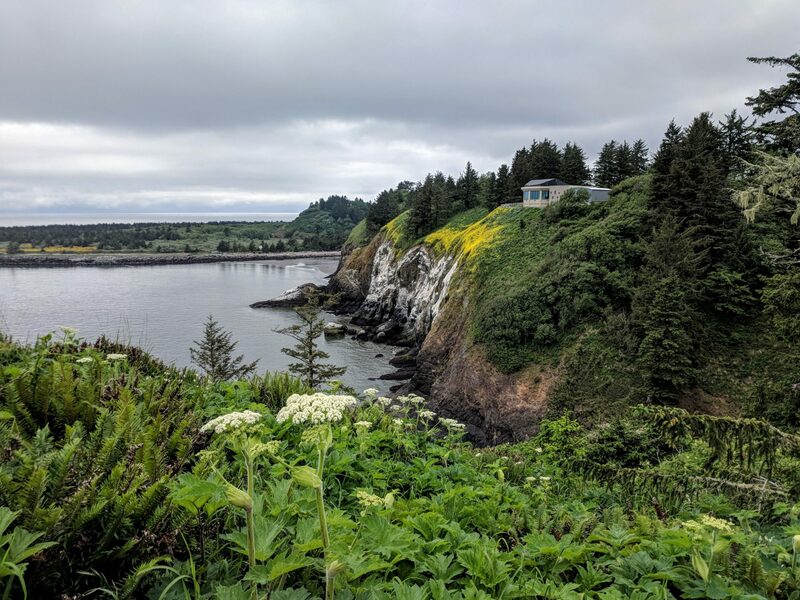 Cape Disappointment State Park features sandy beaches, two working lighthouses, an old military fort, trails through coastal forests, and spectacular vistas, including breathtaking ocean overlooks and quieter views of Baker Bay. The park has old-growth forest, lakes, freshwater and saltwater marshes, streams, ocean tidelands, and a large variety of wildlife. Have a picnic, go camping, or stay in a lighthouse keeper’s residence. Enjoy an active and engaging interpretive schedule during the summer months, visit the Lewis & Clark Interpretive Center, storm watch, go beachcombing, or stroll the cove at Waikiki Beach. 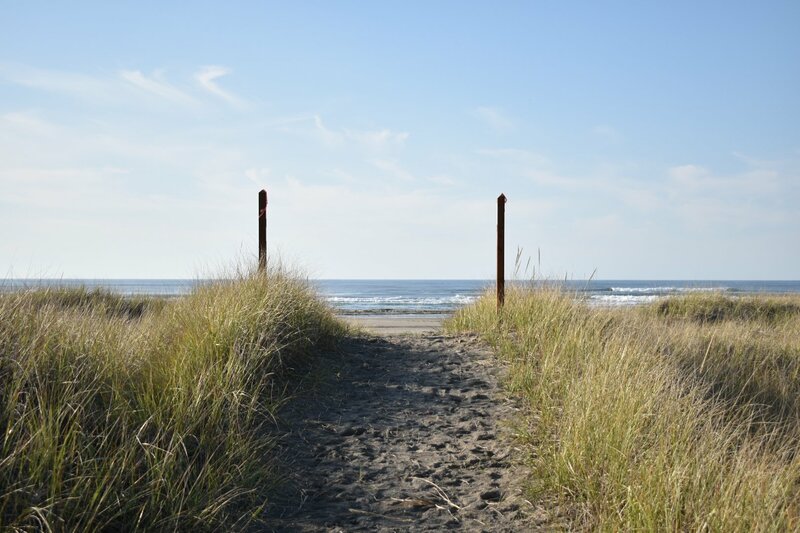 You’ll soon see why Cape Disappointment State Park is the most visited park in the Washington State Parks system! Part of the Lewis & Clark National Historical Park, “Cape D” encompasses 1,882 acres and is fronted by both the Pacific Ocean and Baker Bay. Those with adventurous minds can almost see soldiers waiting for an enemy attack which (thankfully) never arrived. During the Cold War, Battery 246 was set up as an operations center for the governor and other high ranking state officials in the event of nuclear war. Hikers of all abilities will enjoy meandering the roads and paths of the fort, viewing gun emplacements, batteries, historic buildings, and viewpoints. 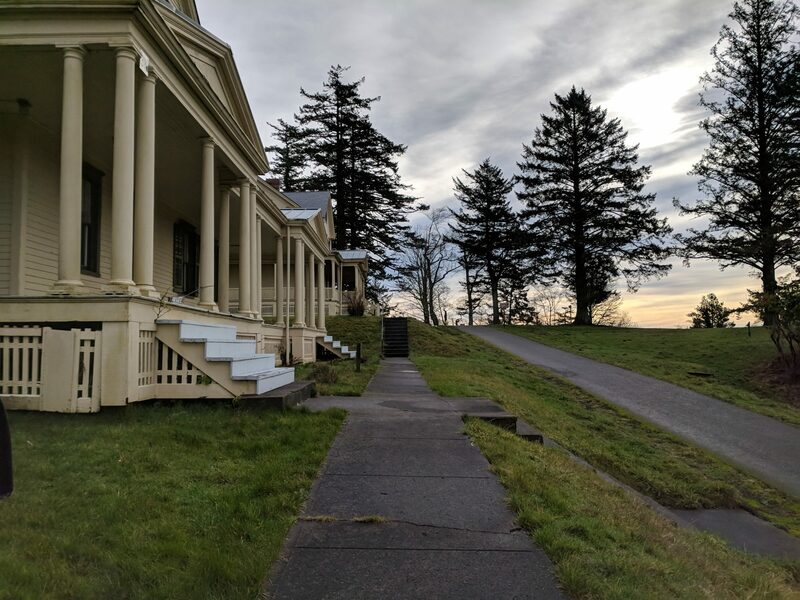 The Fort Columbia Interpretive Center and Commanding Officer’s Historic Home are open in the summer. Visitors can unwind while picnicking on the rolling green lawn among flowering shrubs and shade trees. Fort Columbia. Photo by Sarah Day. 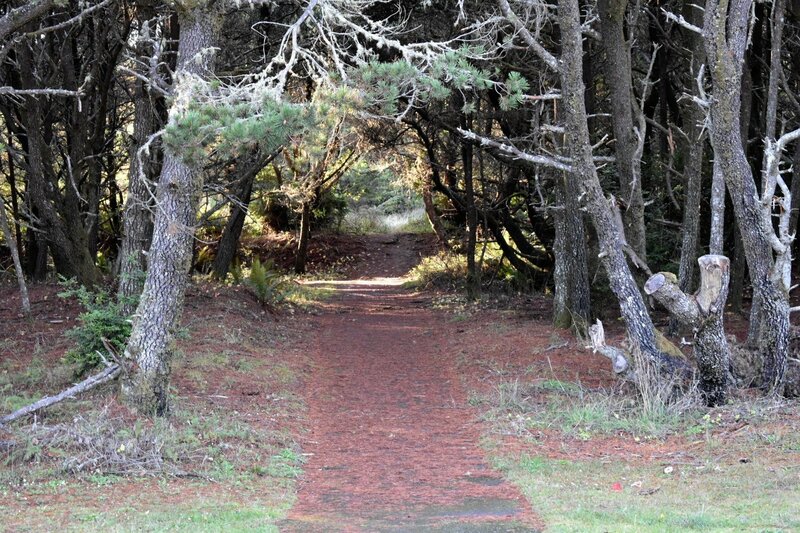 A hiking trail at Leadbetter Point State Park. Photo by Sarah Day. Leadbetter Point State Park is on the northern tip of the Long Beach Peninsula. 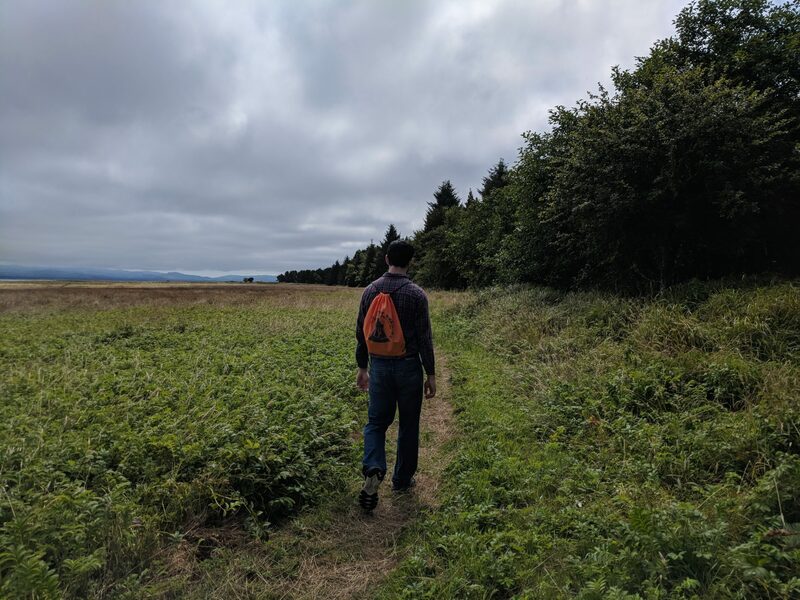 It stretches from beach to bay and overlaps with the Willapa National Wildlife Refuge. This is a unique area protecting both birds and wildlife. During certain times of the year, the trails flood with water so you will want to plan ahead. Hike during late spring to early fall for the driest conditions. Be aware of protected snowy plover nesting grounds near the dunes. These sections are roped off and signs are posted. If you come during the rainy season, be prepared for flooded trails. Bring plenty of water and maybe a few snacks. The trails all loop together, and you might want to keep exploring. A day use area north of Ocean Park with picnic tables and a path to the beach. A day use area south of Ocean Park with picnic tables and a path to the beach. 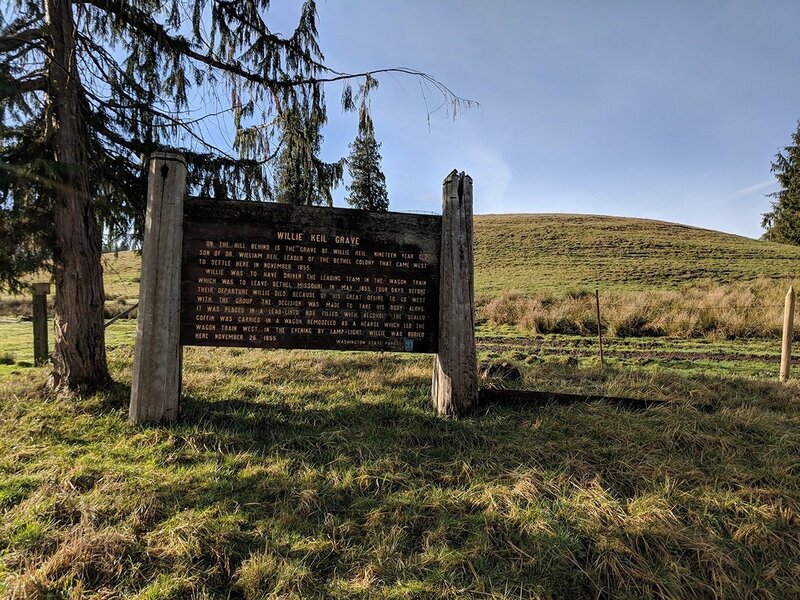 A historical marker located off Highway 6 toward Menlo. Learn more about the Pickled Pioneer.